Indian Names : Charoli, Chironji, Chirauli, Chiraunji, Char,Priyala, Boruda etc. Common English Names : Cheraunji nut tree, Cherauli nut, Cudappah Almond, Chironji nut etc. The Chironji tree is an evergreen tree native to India and grows all over the country especially in the Northwest area of India. It grows to a height of about 50 feet, has a straight trunk. 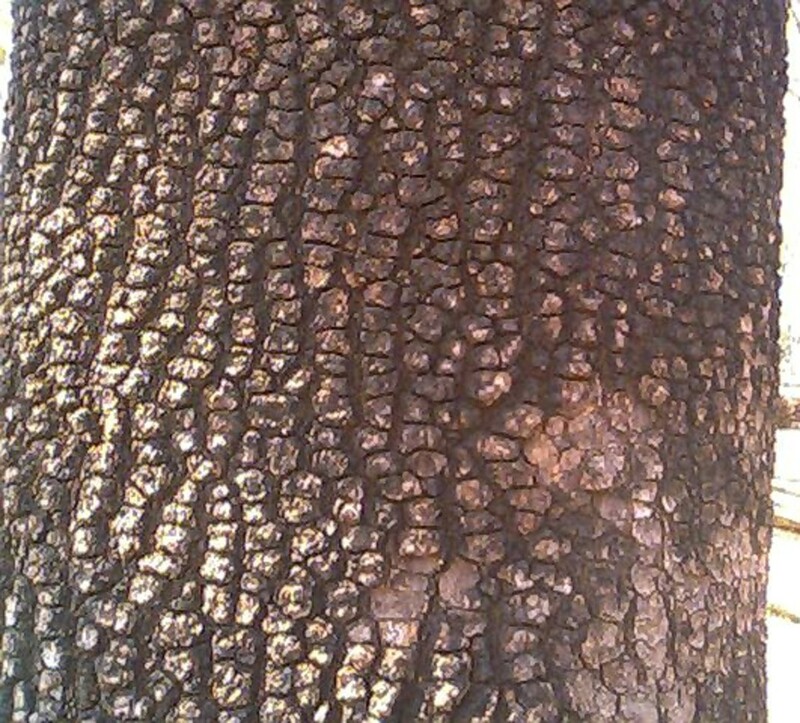 The bark is rough and fissured, dark grey to black on the outside and reddish on the inside. The leaves are thick, leathery,oblong and broad and are rounded at the base. The flowers are small and greenish white and form a terminal panicle. The fruit is black in color and are harvested from April to June. The fruit has a hard seed coat while the inside kernel is soft like a pine nut. It has a light acidic flavor akin to that of an almond. Normally the seeds are roasted or toasted before consumption or usage as heat make more flavors to emanate from the seed. 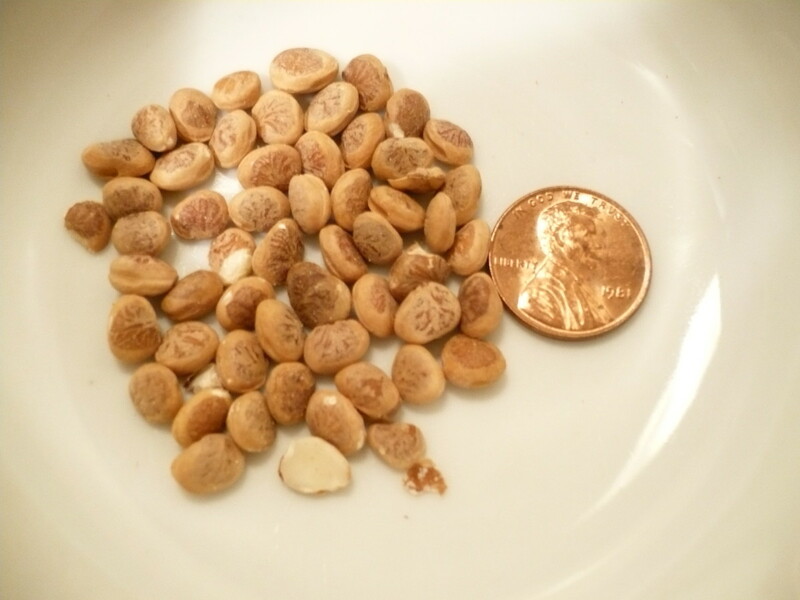 The seeds are flat, oval and speckled with dark patches. The tree commonly grows in dry and open deciduous forests preferring to grow on sandy and loamy soil and does not grow in waterlogged areas. Each tree yields from 1 to 5 kgs of charoli seeds and chironji seeds are considered a delicacy. They are especially used in making sevaiyan during the Muslim Eid festival. The seeds lose their flavor if kept in the open and also become bitter. 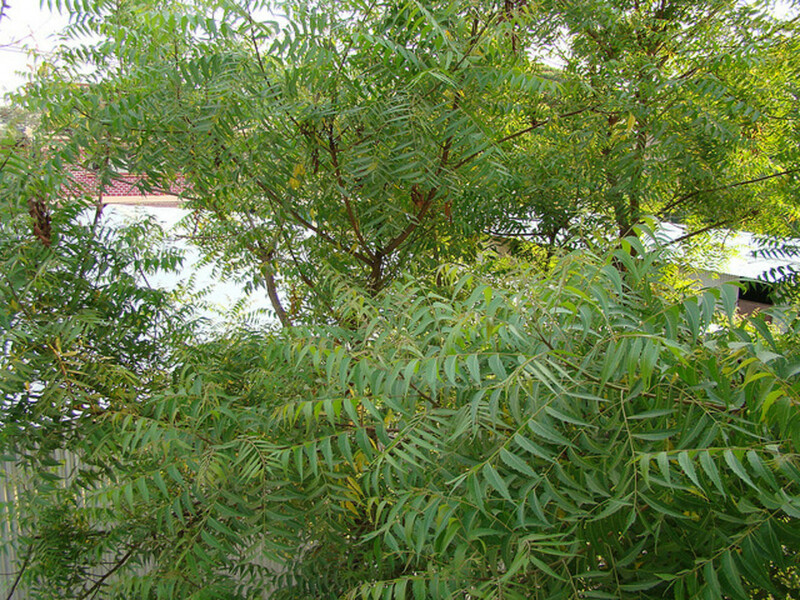 All the parts of the charoli tree are used in traditional Indian medicine. The fruit, roots, leaves, seeds, gom and oil are used in different ways to treat a variety of health issues. The oil is used to apply externally on glandular swellings of the neck. 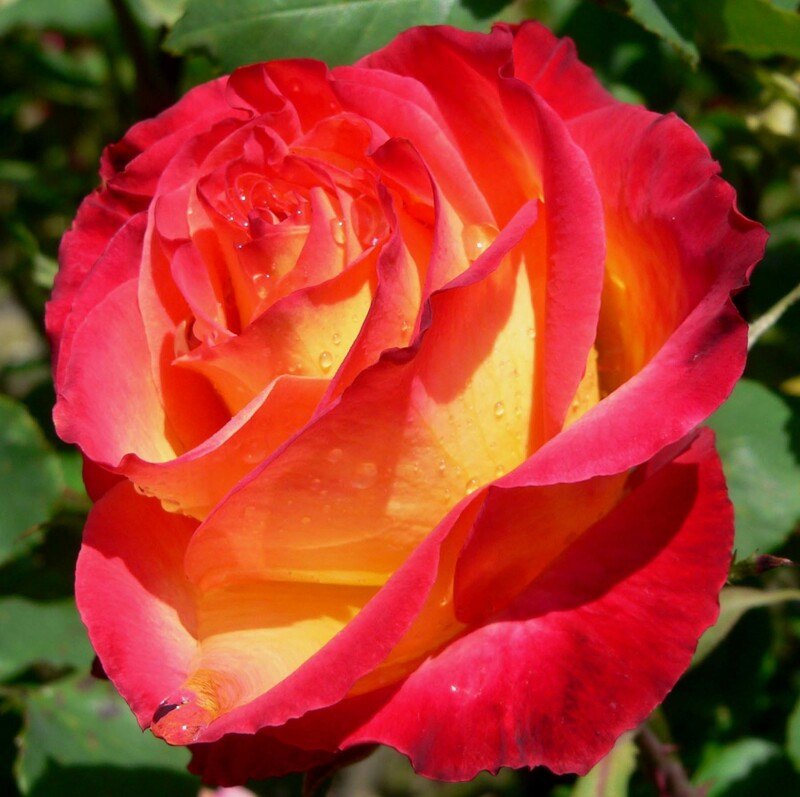 It is also useful in treating skin infections and to remove facial blemishes. The extract of the roots is used as an expectorant, to treat blood infections and correct digestive disorders caused by liver or gall bladder dysfunctioning. The gum is used to treat diarrhea and also chest pain related to the parietal nerves. The juice of the leaves is used in digestion problems, as an expectorant, a purgative and also as an aphrodisiac. An ointment made from the seeds relieves itching, prickly heat, rashes, skin spots, facial blemishes and other skin related problems. The gum is dissolved in cow's milk and used to treat rheumatic pains. Chironji leaves act as a tonic, relieve fatigue and tiredness and have cardiotonic properties as well. The leaf powder is used to treat wounds. A face pack made with the seeds and milk brings a glow to the face. Charoli seeds are cooling and are used to remove burning sensation from the body. The seeds also act as a tonic to the brain and are useful in many genito-urinary problems like gleet etc. The seeds of chironji are a delicacy and are used in desserts, bakery and confectionery products. They are used to thicken sauces and gravies and also to flavor meats. The seeds yield an oil that is comparable to olive and almond oil in their medicinal properties and is also substituted for these oils in the pharmaceutical products. In India a traditional sweet dish called " Chironji Ki Barfi" is made from these seeds and is especially given to newly wed couples. The leaves are used as fodder for cattle, sheep and goats. The bark yields tannin which is used in the leather industry, in clarification of wine and beer, in pharmaceutical industry etc. The wood is used as firewood. Chironji has long been used in Indian Ayurvedic and Unani system of medicine. Thanks and glad you like it. Appreciate the vote and sharing, moonlake. Great information never heard of this before but now I know all about it. Thanks for sharing and I will share this and vote up. Indian Chef, this is a very common item sold as a dry fruit. Thanks for reading. THis is not only very interesting hub and also very informative. Again may be it is called something else here as I have not heard these names. Very good hub.voting up and today i do not see share with followers button so sharing in twitter. @Aufait- most of these foods are sold on Amazon. Luckily for those who do not find these in their local stores this is a great option. Appreciate your interest and sharing of the hub. @MsDora-good to know these not so well known food hubs are appreciated. Thanks. These names are all unfamiliar to me, but I still want to learn about the plant. Never know when or how the information might come in handy. Thanks a lot, Rajan. You have so many interesting foods in India. I really enjoy reading about them. I have not yet found a store in my area reasonably close by that sells some of these items, but I hope that will change because many of them sound like they would be very healthful. Excellent information. Voted up, interesting, useful, and will share! Thanks for sharing this very interesting and informative hub. Never knew about this so it's good to get to know all the health benefits. Passing this on. @Bill-there is so much to learn and so little time in a day. I'm blessed to be able to learn and also spread what I learn all over the world, thanks to internet. Always good to hear from you. @Lisa-let food be thy medicine, Hippocrates said it. Those people were much wiser then; than, we are today! @Peggy-They grow only in hot climes and more so in this part of the world. However the charoli seeds are available far and wide. Thanks for the shares and votes. This is certainly something that I have never previously known. Thanks for introducing me to the Charoli tree. I don't think that I have ever seen those seeds for sale over here. Interesting how all parts of the tree are utilized for different things. Up, useful and interesting and will pin and share. It's amazing how many plants have health benefits. Very interesting! I am completely clueless about this plant. Never heard of it. That is why I enjoy your hubs so much. Through you I learn so much about the different ways of the world. Thank you for always teaching and doing it in a manner that is easy to understand. @Jo- we need to stop all this devastation of nature because it is rebounding on our health. Appreciate the visit. Rajan, this one is new to me....nature never ceases to amaze; there are so many wonderful nutritious and medicinal plants out there, just imagine how many we are probably destroying as we cut and burn our rain forests. another great job, voting up and useful.